The Afghan-American pilot Shaesta Waiz returned to the United States after flying to 22 countries in 138 days. She visited 22 countries, starting from Florida, Afghanistan, India, Canada, Portugal, Spain, Britain, Greece, Egypt, Bahrain and the United Arab Emirates. As a child, she immigrated to the United States with her family and holds a master’s degree in aeronautics. 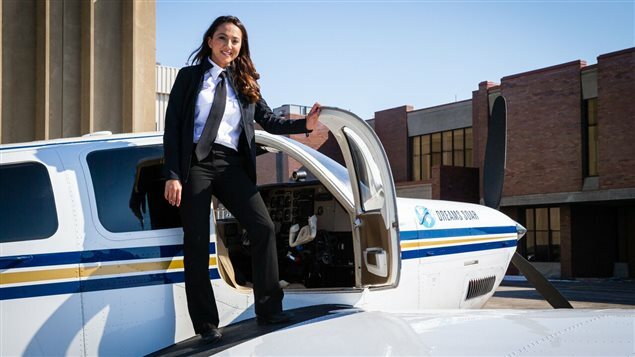 She is the first Afghan woman in history who traveled to the world in a single engine aircraft, and adviced Afghan women on her trip to Kabul to work hard for their dreams. Shaesta grew up in California and attended Embry-Riddle Aeronautical University where she started the Women’s Ambassador Program for mentoring young women in aviation and engineering. Her effort to fly around the world had a specific purpose. “To share my story with women around the world, to let them know it is possible to achieve your dreams, regardless of the challenges and traditions you may face,” Waiz said. “When I found my passion — flying — that’s when I started to challenge myself. I started to read. I started to do better in maths. I started to look at the world differently, the sky differently,” she told AFP.